Our Mission: We transform the lives of adults with intellectual disabilities through the arts. 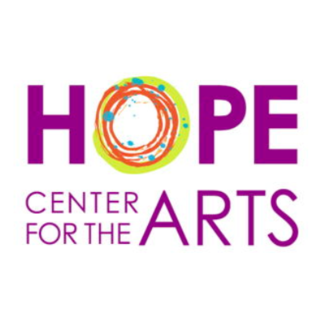 About Us: We are a multi-faceted visual and performing arts program designed to serve individuals discovering and displaying their talent, interest and motivation within the arts. Our program is excited to offer our artists a variety of classes for everyone to reach their full potential. Who We Serve: HOPE serves adults ages twenty-two years and above with developmental and intellectual disabilities such as, but not limited to : Autism, Down Syndrome, Williams Syndrome, Savant Syndrome among many others. Artists should be capable of handling all of their personal needs and have no current aggressive behaviors. The staff to client ratio is 1:8. We are designated as a site based day program. HOPE IS ON THE MOVE!